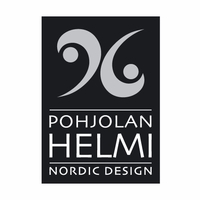 More about Pohjolan Helmi Blueberry Earrings Finnish-based Pohjolan Helmi’s know-how comes from a ten-year goldsmith family entrepreneurship. Timeless design, quality products and hand-crafted finishes make each object a unique piece of wearable art. 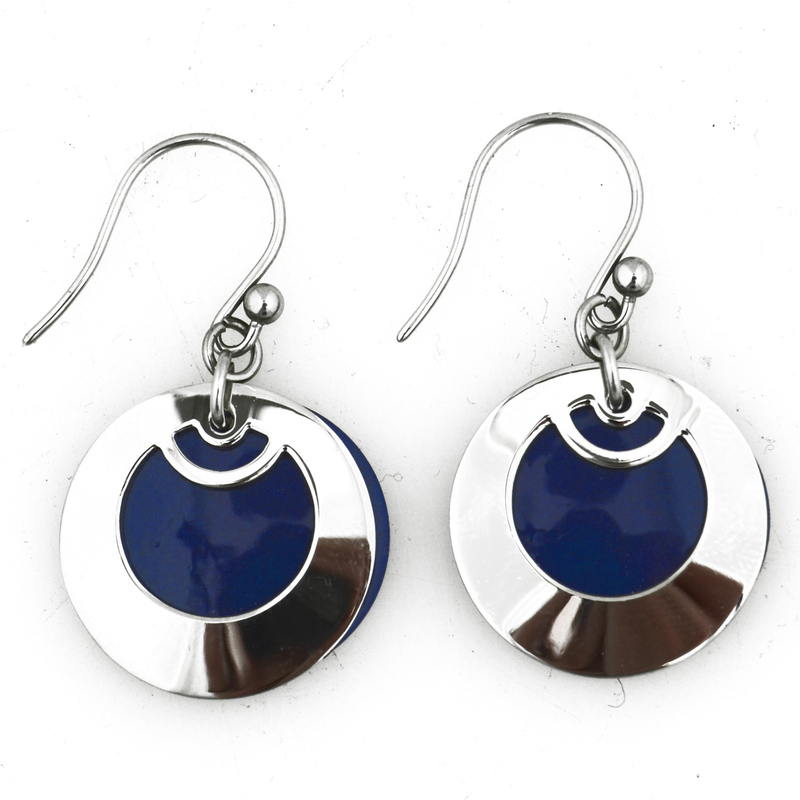 The Pohjolan Helmi Blueberry Earrings add a stunning pop of color to your everyday fashion accessories. Lovely earrings. The perfect size, well made, and becoming. I purchased the same earrings in red and enjoyed them so much that I ordered a second pair in blue. They go with everything and work well in both work and casual settings. ProsExcellent craftsmanship. Good weight on ear loops so they stay on and in your ear hole! Stay shiny, even with repeated wear. 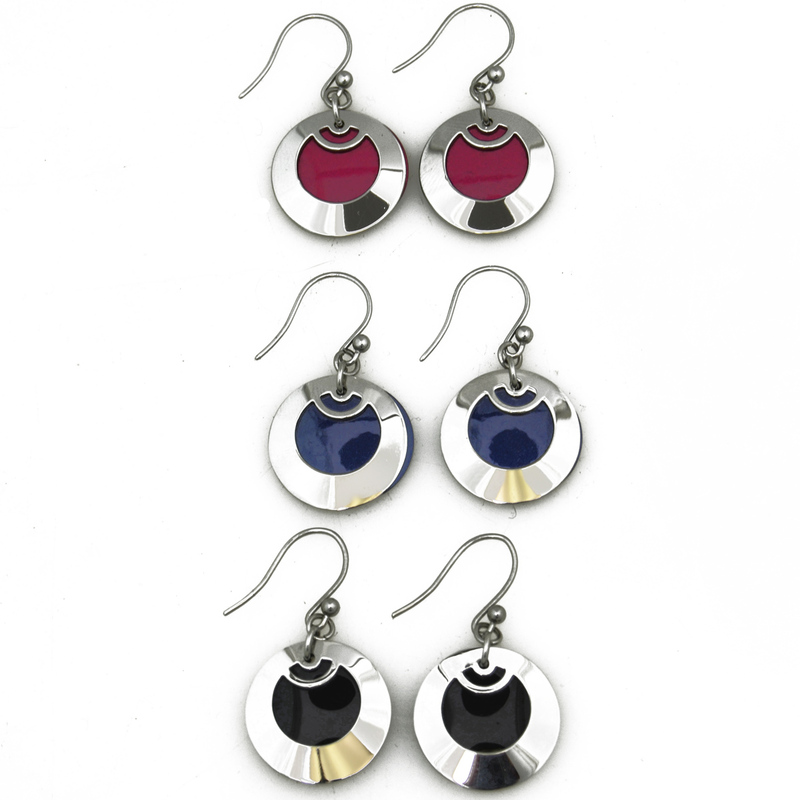 Please note that the color disk is a separate piece that "shows through" the circle as main part of earring.